Its high strength and quick set time make Gorilla Super Glue the go-to for a variety of projects. Developed for long-lasting repairs in an instant, Gorilla Super Glue is formulated with tiny rubber particles for increased impact resistance. We call it Impact-Tough® because it stands up to wear and tear unlike any other instant glue. Available in bottle and squeeze tube formats. Titebond Original Wood Glue is the industry standard for woodworking. It provides a strong initial tack and fast speed of set to reduce clamp time. It also develops a bond stronger than the wood itself, offers excellent sandability and is unaffected by finishes. Titebond Original can help any woodworker achieve professional-looking results. It is ideal for wood, hardboard, particleboard, leather, cloth and most other porous materials. Titebond Original is easy to use, non-toxic and cleans up with water. 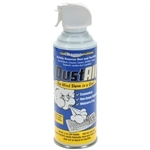 CAIG DustALL Compressed Air (10 oz) is a general purpose cleaner designed to quickly and safely remove dust, lint, and particles from hard to reach places on instruments, computers, and anywhere dust is a problem. 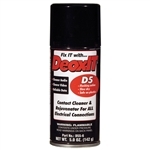 CAIG DeoxIT D5S-6 Spray 5 oz. Superior Cleaner, Enhancer & Lubricant for Metal Electrical Connections. Black, 100% Cotton, 16 oz. Commando Cloth (known on the West Coast as "Duvetyn") is a versatile and durable drapery fabric. Though opaque, it is lighter and more economical than velour. Used in theatre, industrial shows, special events, and stock draperies. The most widely used black masking fabric in the entertainment industry.